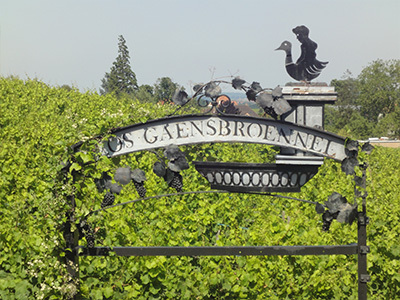 The Clos Gaensbroennel is cultivated partly by our family. It is located in the lowest part of the Kirchberg, on a deepest soil. An underground spring refreshes the air and enhances the moisture in autumn. Thus, in some good vintages, we can produce botrytised grapes. This Clos is particularly good for the Gewurztraminer. This variety gives a full bodied and well structured wine. It’s bouquet displays rich aromas of flowers and spices.